While Kolkata have enjoyed a good start, winning both their matches, Delhi have endured mixed results. 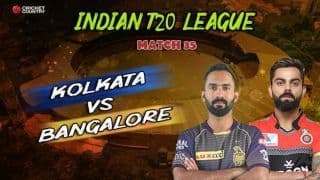 Game 10 of the ongoing Indian T20 League will see table-toppers Kolkata playing their first away match of the season when they square off against a bruised Delhi at the Feroz Shah Kotla on Saturday evening. It’s no secret how heavily the two teams have banked on their two star performers so far in the season. 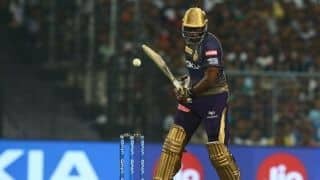 While Andre Russell has been head and shoulders above everyone with his all-round display as he has singlehandedly drove Kolkata to both their wins, Rishabh Pant has managed that for Delhi once – against three-time winners Mumbai in an away game. 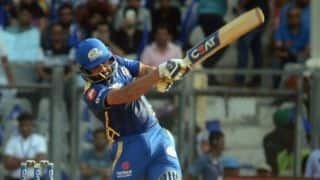 Although, in Rishabh’ defence, the second time he was batting on a difficult Delhi pitch on which every batsman struggled to impose himself. On the other hand, this will be Kolkata’s first away match and so far, it’s been their batting who has bailed them out. Twice they have wriggled themselves out from difficult positions and both times Russell was the standout performer. 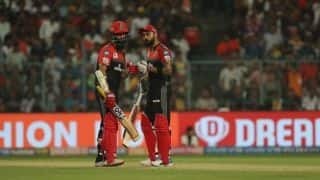 Both Pant and Russell are known to be big-hitters of the cricket ball and a packed Delhi crowd can expect a lot of fireworks. Which brings us to the next point – the pitch. 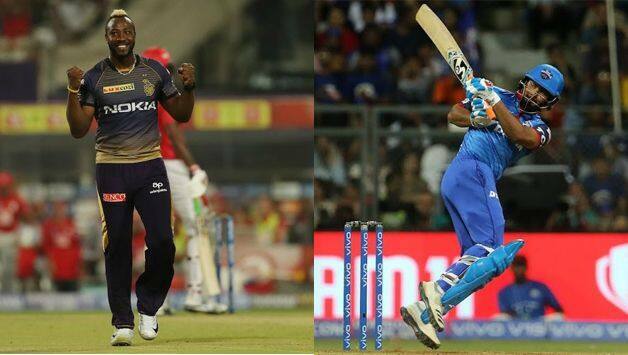 On Friday, both Chris Morris and Robin Uthappa expressed their observations of the Kotla pitch. Both have said the pitch is a lot different than what they’re used to – it’s slower. 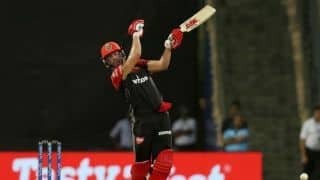 Delhi captain Shreyas Iyer, after Chennai defeat, had said the ball was holding up and turning from the word go making strokeplay a difficult proposition. Delhi, who posted a massive 213 against Mumbai at Wankhede, managed 147 against Chennai in their first match at home. 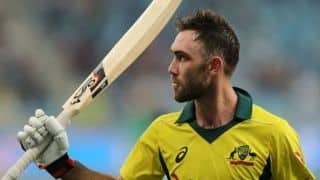 Questions over surfaces which are not batting-friendly have already been raised by the likes of Virat Kohli and MS Dhoni. Will it be another low-scoring affair at Kotla? Opener Shikhar Dhawan has scored for Delhi in both their matches. 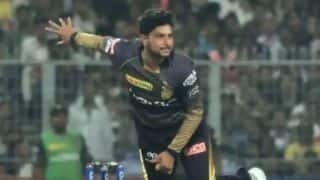 In fact, against Chennai, he was the only half-centurion from either side. But the fifty came at a strike-rate of 108.51. 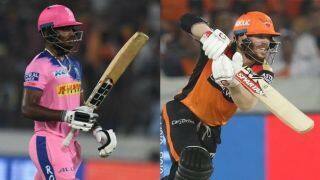 Against Mumbai also Dhawan failed to accelerate, managing 43 off 36. Even Delhi head coach Ricky Ponting went on to say that it wasn’t ‘ideal’. 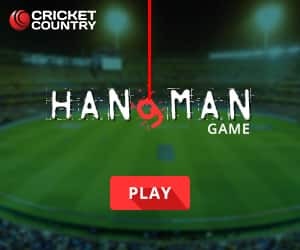 Sourav Ganguly reportedly had a long chat with the left-hander and revealed he has asked him to play attacking cricket. With the pitch expected to favour slow bowlers, Delhi will be wary of their opponents on Saturday who have big names in their ranks. 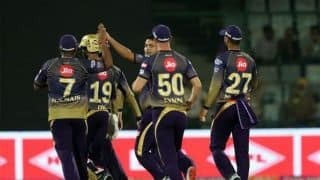 Sunil Narine, Kuldeep Yadav and the experienced Piyush Chawla can exploit the surface, making life difficult for the home batsmen. On the other hand, Delhi’s attack isn’t bad either. 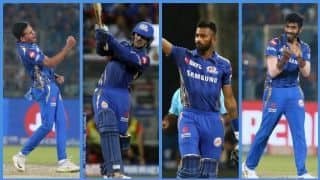 They have the vast experience of Amit Mishra who will be aided by Axar Patel and Rahul Tewatia. 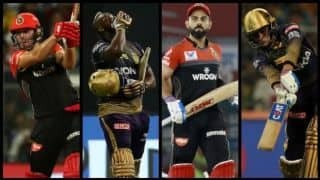 Then they have Sandeep Lamichhane as well who has made quite an impression in the past one year. It could very well turn out to be a battle between Delhi’s spinners vs Kolkata spinners. Both Delhi and Kolkata have one common problem – the failure to get a solid start. This is due to one-half of the opening pair not firing. For Delhi, it’s the talented Prithvi Shaw who did manage to get a start against Chennai but before throwing it away. For Kolkata, it’s Chris Lynn who has scored 17 runs across two innings. Both are due some runs now.